If you have reached the point where you are considering contacting a Family Law Attorney, you are probably undergoing an emotional and stressful time in you life. Though it will be difficult, you will need to sort out your emotions from the facts in order to proceed because even in family law matters, the court will use a rational, business like approach. 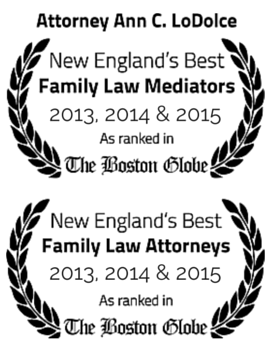 The advice and involvement of an experienced Family Law Attorney can help you. The job of your Attorney is to use your knowledge of the facts to counsel you on the relevant issues of your case and to help you approach your situation with reason rather than emotion. Many people are surprised by what they learn during an initial consultation because they don’t anticipate all the factors that will affect the likelihood of achieving a successful outcome. How could they? An experienced Family Law Attorney is trained to apply the law to your particular situation and to work with you to get the best results possible. After you decide to make an appointment for your initial consultation, create a list or a timetable of the events that caused you to turn to a Lawyer for your family law case. During the discussion, you may have to address several upsetting issues and the Lawyer may ask you some disturbing or pointed questions. Also, you do not have to worry about shocking the Lawyer – an experienced Attorney has probably already heard a similar story. It is vitaly important for you to be forthcoming and honest. If your Attorney doesn’t know all the facts, he or she can’t be as effective as possible. The other important thing to keep in mind is to ask questions. Make a list so you don’t forget to ask the things that really matter to you. Your attorney does not expect you to understand all of the issues or legal terms and will do his or her best to avoid complicated legal language. But if you don’t know the meaning of a legal term or any legal procedure, ask for clarification. You need to understand everything that is going on so you can make the best decisions possible.